All goods are subject to availability and providing an item is in stock, should be delivered with in 2-5 working days of a order being placed, if an item is not in stock some items can take up to 30 days. We will endeavor to inform you should there be any delays due to heavy demand. Delivery charges are £25.00 for saddles, and £12.50 for all other parcels within the United Kingdom, all parcels will need to be signed for (prices can change from time to time, 14 days notice of a change to postage charges will be posted on this website). The Pony Saddle Company, The Native Pony Saddle Company and Comfort Saddles come with a 14-day trial subject to conditions. 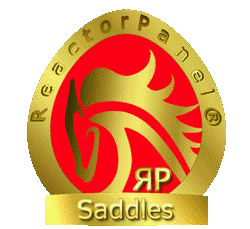 ReactorPanel® Saddles come with a 4 week trial subject to a weekly hire charge of £25.00, and conditions. Conditions: Saddles must not be used in the rain, girths must have roller buckles, stirrup leathers must be attached under the saddle flaps for the duration of the trial period, saddles must not be ridden with Wellington boots or rubber ridding boots. A full refund will be given, excluding postage and packing on any standard saddle being returned, subject to the saddle being returned in unused condition (taking into account a reasonable amount of use to sit in the saddle) subject to the costs listed in the ‘Refunds’ section. The customer shall take all reasonable care to keep the saddle in good condition during the ‘Trial Period’. We always try to give each of our customers exactly the right saddle for them and their horse/pony, sometimes this means that we need to make a custom (bespoke) saddle to their special requirements, if we do this we will require a non-refundable deposit of £200.00 – £400.00 (depending on which model saddle you are customizing). Custom saddles do not have a trail period and are non-refundable unless they are found to be faulty or misdescribed. Custom means having a saddle made with options not offered as standard on the desired model. We will not process orders for Custom ReactorPanel® Saddles unless the customer has either had a successful trial of a ReactorPanel® Saddle or already owns one. In the case of The Pony Saddle Company, The Native Pony Saddle Company and Comfort Saddles we would like the customer to try a standard model before taking an order for a custom saddle, making sure that they are familiar with the saddle that is being made just for them. Saddle Exchange have a dedicated team of Saddle Fitting Specialists covering most parts of the UK, the cost of call out will depend on the area you are in and will need to be paid at the time of the fitting to the Saddle Fitting Specialist. Please call or e-mail your local Saddle Fitting Specialist for a quote, charges can vary depending on where you are located in Great Britain. Areas that do not yet have an Agent are covered from base, in general we charge £85.00 call-out (travel charge) for anywhere in the UK, when we are fitting in other customers on the same trip, more locally we charge £65.00. In the case of European visits, please email for a quote or if in Denmark contact your local saddle Fitting Specialist. Group call out can be arranged, where travel costs may be split, typically we will share the charge (£85.00) between two customers on the same yard each paying £42.50, three or over pay £30.00 each (charges can change, 14 days notice will be given of changes in call-out fees in advance, posted on this website). All Traditional saddles fitted by Saddle Exchange come with a free flock or tree adjustment within the first three months subject to a call-out charge, after this period saddle tree width adjustments are £50.00 inclusive of VAT, for flocking ask for a quote. Whilst every effort will be made to maintain the prices quoted, it may not always be possible; therefore we reserve the right to discontinue any items from the list and change prices when necessary. Prices shown include VAT of 20% where applicable. All goods are subject to approval: unsoiled goods may be exchanged or refunded if returned at customer’s expense within 14 days of order with proof of purchase. If goods are returned in a soiled condition the customer may be charged a cleaning fee in order to restore the goods to a saleable condition. Items exchanged will incur Postage & Packaging charges. Please notify us of any goods damaged in transit from Saddle Exchange within a reasonably amount of time or no exchange will be considered, under no circumstances should items be used when damaged, as you will be deemed to have accepted the goods in their damaged condition. Please note that damaged goods are subject to inspection before a refund will be authorised. Goods will only be exchanged or refunded if they are returned in a reasonable condition. The customer is responsible for the costs of returning the goods unless found to be faulty, proof of postage must be obtained by the customer (and in the case of faulty goods a recept should be obtain in order to receive a refund of transit costs). All goods returned to Saddle Exchange must be insured to cover the full replacement value if lost or damaged in transit. There is a 4% handling charge for credit card refunds (6% on Amex), a £10.00 charge for debit and cheque refunds, there is no handling charge for cash or in the case of faulty goods. All complaints should be directed to ‘Dean Woodward, Saddle Exchange, Friarnside, Friarn, Over Stowey, Bridgwater, Somerset, TA5 1HW, United Kingdom’. Under the Distance Selling Regulations, UK customers have the legal right to cancel their order within seven working days of receipt of the goods (with a few exceptions such as made to order items and any other items as permitted under local law where applicable). Where goods are delivered to a third party you will only be able to exercise this right if you are able to return to us the goods you ordered. The goods must be returned to Saddle Exchange on cancellation. The customer will bear the cost of returning these goods (or of them being recovered) on cancellation. You have a right to cancel any order within seven working days of the order being taken, you MUST DO SO IN WRITING and deliver personally or send (which may be by electronic mail) this to the person named below. 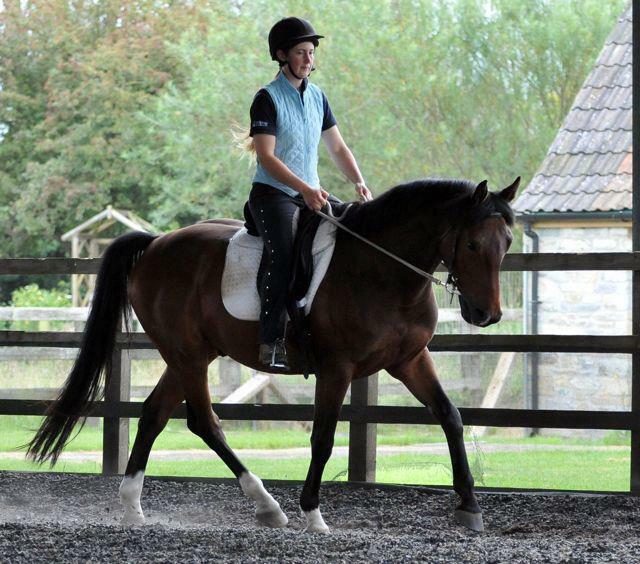 To: Dean Woodward, Saddle Exchange, Friarnside, Friarn, Over Stowey, Bridgwater, Somerset, TA5 1HW, United Kingdom.